New boating and fishing law takes effect March 21, 2019. During 2019, DTE Energy is planning to trim trees within our township. Please go to the map link in order to view the �2019 Tree Trim Maintenance Program� that has been prepared by DTE Energy. Thank you. There are subjects and information that you may not be aware of on the link below. Mon. - Fri. 10 a.m. to 2 p.m. 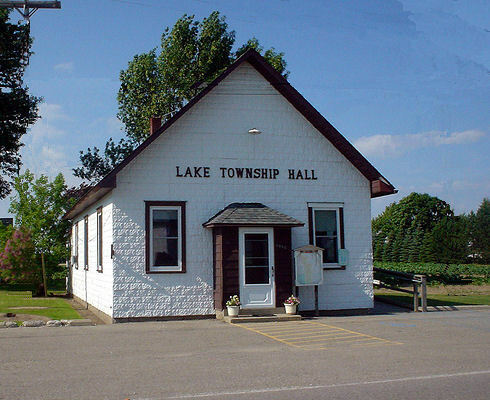 Welcome to Lake Township, a place where you will find a Recreational, Residential, Rural and Agricultural atmosphere. We are located in Michigan's Lower Peninsula 120 miles North of Detroit at the Tip of the Michigan Thumb. We boast 6 miles of sandy shoreline, facing Lake Huron in the Saginaw Bay. We have pristine wooded areas, State Parks, County Parks, Hiking Trails, Good Fishing, Water Sports, Scenic Turn out and summer rentals. Copyright Lake Township.net. All Rights Reserved.